400 looks like it once was more door but this works well ! 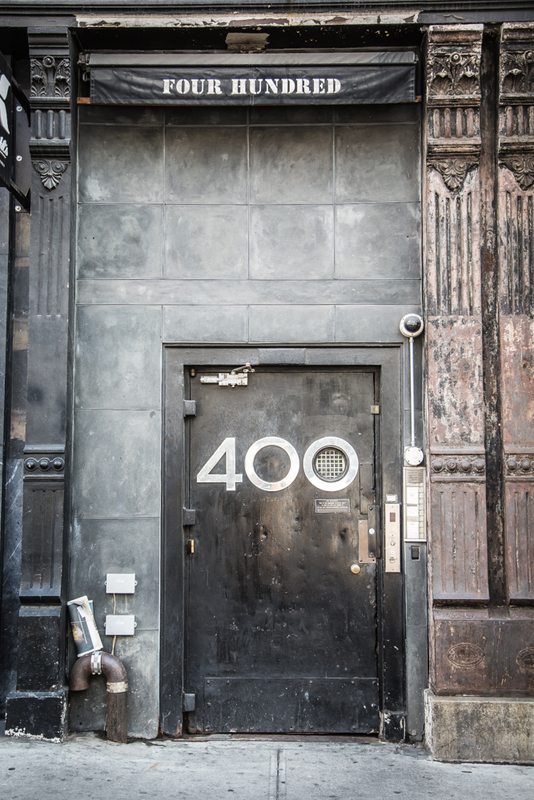 I just love “400”, a solid gem of a door, in my opinion. Nice gritty look to 400 – it kinda looks like a mob hangout. Love the surveillance cam above the door on the right. Josee, I like your gallery. The peekhole in the zero of the 400 is cool and unique. I like the lettering of “Tao”, too. Thank you so much Janet, very kind of you to comment.